Third Graders-How Does Our Garden Grow?!? Our brand new school yard is finally up and running. The most beautiful part of the yard is our new garden and the third grade team is in charge! We started the garden by digging and turning the soil to plant various plants in the walkway. 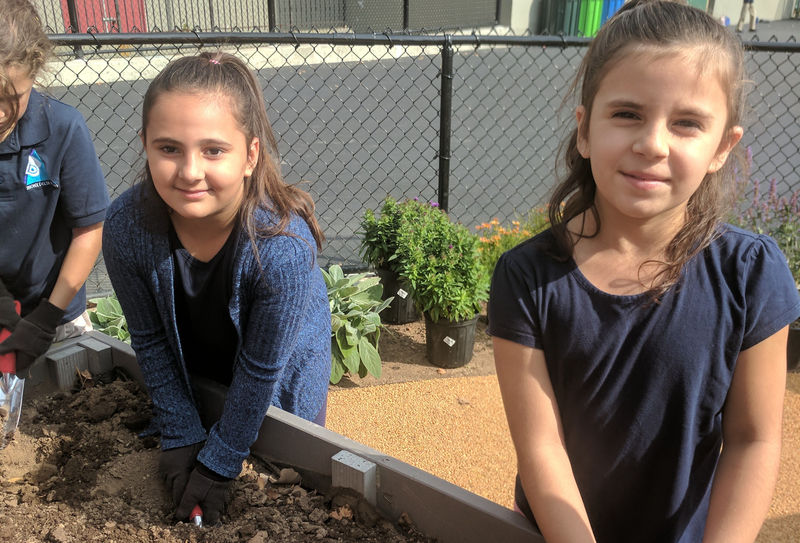 We then planted different vegetables in our wooden boxes by turning the soil, putting down the seeds, covering them, and watering them. Through the course of our science studies we are going to be continuing to study the plants and vegetables that we have out there and take care of them appropriately. We are very excited to show off our green thumbs and make sure our garden is a success! Next Entry:First Grade Fun with 2-D Shapes!